MarineParents.com is joining organizations across the country to recognize September as Suicide Prevention Month. Learn more in our first article. Also, check out the table of contents to the left for additional topics of interest covered in this issue. Here at Marine Parents, we have been in touch with far too many veterans and veteran families affected by suicide -- from suicide attempt survivors to families mourning the unbearable loss of their loved one to suicide. Our Marine Parents Founder said it best: "One suicide is too many. One more suicide is too late." Sunday, September 28, is Gold Star Family Day and in honor and recognition of the losses and sacrifices the families who have lost a loved one in the line of duty have faced, we would like to encourage groups and individuals around the country to mark this occasion by lighting a luminary at dusk in remembrance of those who have made the ultimate sacrifice on our behalf. 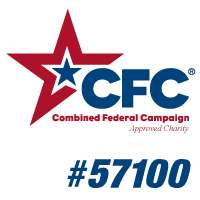 Click here to pledge your support today! The Marine Corps' birthday, November 10, is an important event that all Marines celebrate as their own "second" birthday, and each year, in honor of this special day, we assemble and ship birthday-themed care packages for deployed Marines. 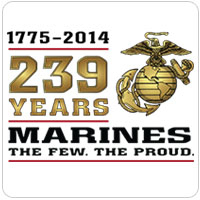 This year, we will be packing 300 "Birthday Boxes" on our November 1, 2014 packing day at the Marine Parents corporate office in Columbia, MO and we need YOU to write "Happy Birthday" cards to Marines to include in these Birthday Boxes. 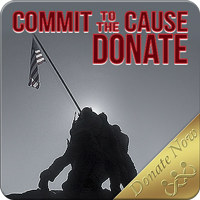 The "Ooh Rah" spirit of the Marine Corps is awaiting you in Washington, DC the weekend of the Marine Corps Marathon, October 23-26, 2014. 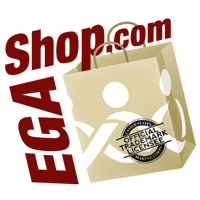 If you've always wanted to visit DC, then this is the weekend to do it! We need volunteers to assist at the expo booth Thursday, Friday and Saturday as well as staff our charity tent on Sunday. Come join the fun and help us out! 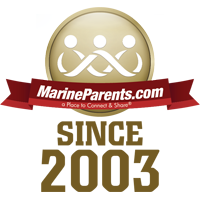 Begin Raising Money for Marine Parents Today! 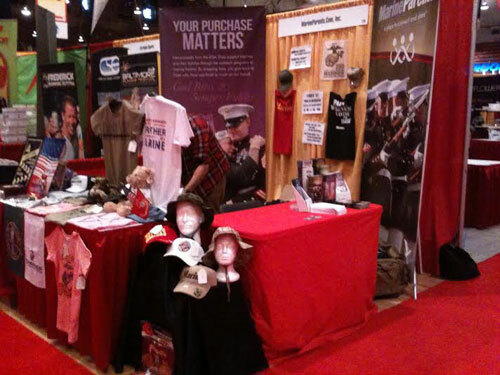 You can create your own fundraiser for MarineParents.com! 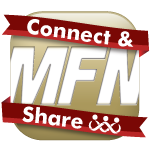 It's quick and easy and you can put the power of your connections to work to support our troops by starting a "Go Fund Me" campaign today. 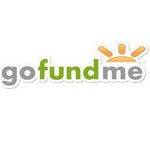 Click here to start your own "Go Fund Me" campaign today! 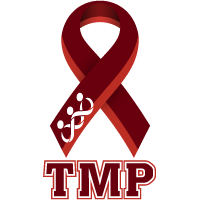 This issue's TMP featured participant is a proud new Marine mom from Oregon checking an item off her bucket-list by running in a marathon--Gwyn Johnstone-Slaine. 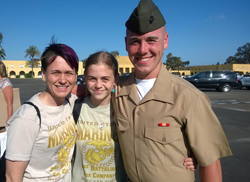 Gwyn's son graduated MCRD earlier his year on June 13, and she decided there's no better way to show pride in his accomplishment than to complete her dream of running a marathon in honor of her son while raising funds for the Warrior Support Team.